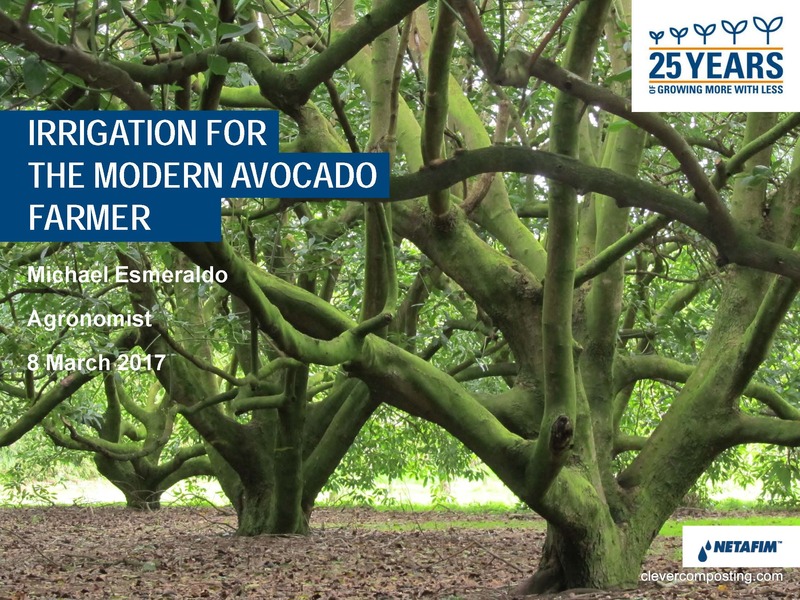 Presentation topic: Irrigation for the mordern avocado farmer. Location: Maluma day 2017 – Merensky High School. Presenter(s): M Esmeraldo – Netafim.